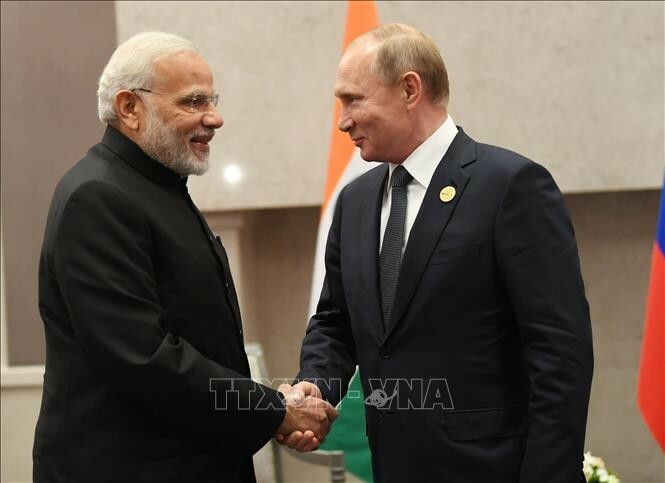 (VOVWORLD) - Russian President Vladimir Putin is in India for a two-day visit during which Moscow hopes to close a weapons sale worth billions of dollars. On Friday, Russia and India signed military contracts for the sale of five S-400 missile systems, the sale of two Krivak-class stealth frigates, and joint production of AK-103 assault rifles in India. The same day, Putin met with Indian Prime Minister Narendra Modi. The two leaders are expected to witness the signing of some 23 agreements on investment, space, transportation, and business cooperation. They will also talk about nuclear power cooperation and the Afghanistan situation.